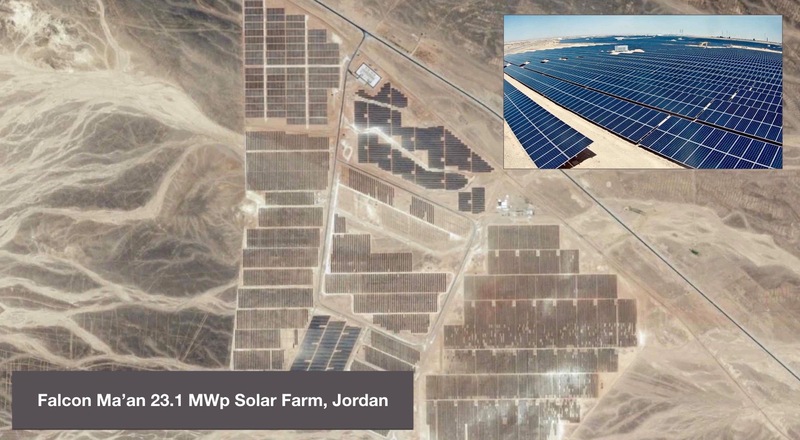 The solar power plant covers a surface area of half million square meters and delivers 147 million kilowatt hours of electricity to the Jordanian national grid each year while avoiding over 25.000 tons of CO2 emissions. Jordan was the first country in the Arab world, which in its National Energy Strategy for 2005-2020 committed significant support for renewable energy. “The Falcon Ma'an project confirms the importance of Jordan’s pioneering role in the adoption of solar energy in the region, that is why I am so thrilled and looking forward to visiting the project together with the renewable energy leaders from the Arab countries on 8 December,” stated Hans-Josef Fell, President of the Energy Watch Group, Member of the German Parliament 1998-2013 and Author of the German Renewable Energy Sources Act 2000. "Solar power plays an important role in transitioning Arab countries towards their sustainable future. It can fight against poverty, with many new jobs created and we will discuss how solar energy can help greening deserts, desalinate seawater, for new food and biofuel production," added Hans-Josef Fell, “Falcon Ma’an project proves that solar and renewables are not only the future of these countries, but that this future is here today!" Desert Technologies (25%), Enerray (24%) and Seci Energia (1%), have sponsored the project together with their local partner, Catalyst Private Equity (50%). The project has been financed under the innovative Seven Sisters renewable programme created by the World Bank's International Finance Corporation (IFC) together with other lenders including FMO (Dutch Development Bank), (OFID) The OPEC Fund for International Development, Finnfund (Finnish Fund for Industrial Cooperation), Europe Arab Bank and Arab Bank. “This project demonstrates the enormous potential the Middle East and North Africa has for renewable energy investments. It also demonstrates that when the private and public sectors work together, they can drive innovation in solar technology to new levels,” noted IFC Director for the Middle East and North Africa, Mouayed Makhlouf. "The Falcon Ma'an solar plant, together with recently accomplished 10 MWp Shamsuna project in Aqaba, is another milestone in Enerray's strategy of becoming one of the global solar industry leaders," stated Michele Scandellari, Enerray's CEO. "This also proves Enerray's commitment to the regional market. Optimism is in our company's DNA and we are just finalising the construction of the largest 254 MWp project in Brazil and Latin America. We truly believe in the huge potential for solar energy in Jordan, but also other Arab countries. Together with our regional partner Desert Technologies, as well as our top quality suppliers, we are eager to help them in converting this potential into reality", added Scandellari." “Achieving Commercial Operation on the Falcon Project is an import milestone for Desert Technologies, as both a developer and EPC on this project. It is a major achievement and validation of our integrated business model. Desert Technologies has once again positioned itself as a leading renewable energy company in the region, particularly off the back of our recent successes in Round 1 of the Egypt Feed-in-Tariff program, and looking forward to our home market of Saudi Arabia next year,” commented Nour Mousa, CEO of Desert Technologies. 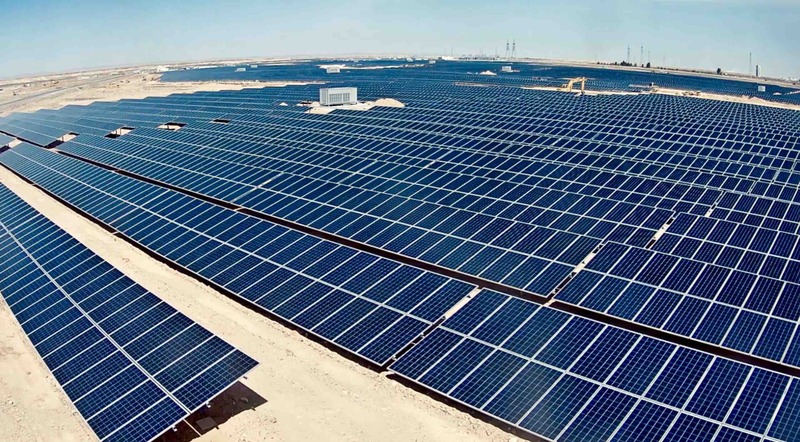 "As the largest solar panels manufacturer in the world, we are proud of being the supplier to one of the first large-scale projects in Jordan and MENA region. It's been a great pleasure again working with our long-standing partner Enerray and having initiated collaboration with Desert Technologies," stated Gulnara Abdullina, General Manager, Africa & Middle East at JinkoSolar. "Our superior Eagle module series will prove long-term reliability in harsh climates. This state-of-the-art project, together with others, will pave the way to a greater future solar deployment in MENA and beyond." “With Falcon Ma’an project SMA demonstrated once again its leadership in supplying turn-key Medium Voltage Power Station that guarantees the highest performance and availability in harsh environments, on behalf of our customers as well as investors and utilities,” added Valerio Natalizia, Regional Manager SMA South Europe. More information about the Falcon Ma’an project can be seen in video discussion with Enerray's Michelle Scandellari and JinkoSolar's Gulnara Abdullina here and the full time-laps video from the project's construction can be seen here. Enerray, founded in 2007, is an Italian company that is a leader in the design, development, construction and management of medium and large scale photovoltaic plants. As a company of the Maccaferri Industrial Group, an industrial corporation founded in 1879, with a global presence and a turnover of 1,2 billion dollars, Enerray provides turnkey solutions for industrial roofing, shelters, on-ground installations and greenhouses, competing as a reliable partner, that can guarantee the best performance and function of the plants. Enerray's EPC and O&M services are based on a well established and continuously growing experience, acquired on various plants and on an overall power of 800 MWp installed and under construction. Enerray manages 490 MWp, being the leader in Italy. Enerray owns subsidiaries in Saudi Arabia, Turkey, Jordan, Morocco, Egypt, Mexico, Brazil, Costa Rica, Chile, Thailand, Romania and is active and develops markets in other countries in the Americas, Africa and Asia​. www.enerray.com. Desert Technologies is a Saudi Arabian company founded by Saudi and international partners and working in the field of renewable energies sector in the Middle East. Desert Technologies operates through three divisions: EPC (Engineering, Procurement and Construction) Contracts, Project Development and Production of Photovoltaic Panels. The company is headquartered in Jeddah, Saudi Arabia. www.desert-technologies.com.